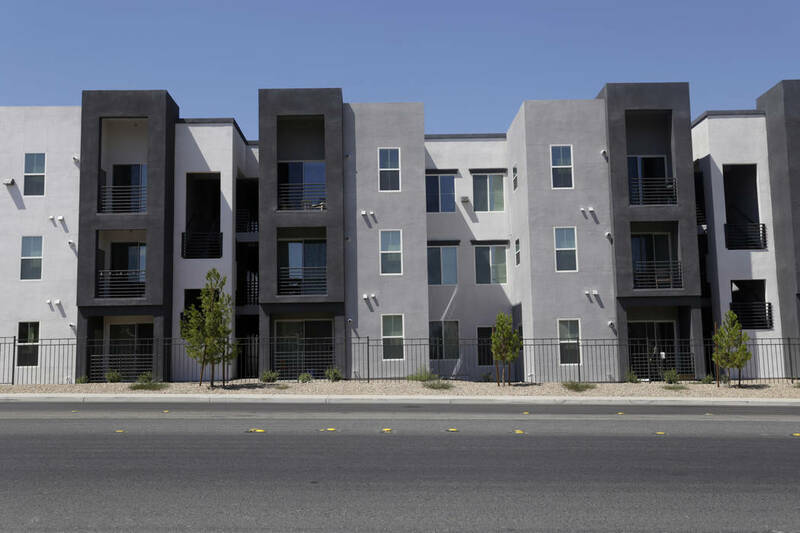 The apartment market in the Las Vegas Valley has been trending upward in several aspects, including rental rates, occupancy and the number of units under construction. A midyear report, released at the end of July 2017 from Colliers International Las Vegas, showed projections of 5,000 units that could come online in the local area in 2017, much of which is under construction. That’s higher than the more than 3,000 units that were under construction in 2016, according to a report from Colliers Las Vegas. A large portion of the development being tracked by Colliers was taking place in Henderson and the southwest and northwest part of the valley, according to a second-quarter report. Some of the top developments for Henderson was Evolve Apartments at nearly 400 units and Silverado West, which was pegged to have 362 new units. In the southwest area, the Adobe Red Rock Apartments will have more than 300 units when the project is completed. According to the project’s developer, Transcontinental Realty Investors Inc., the project will come online in July 2018. One notable development that was recently approved by the Clark County Commission is Florida East Coast Realty’s plan to build a four-tower, 1,480-unit rental project east of the Strip. Florida East, which owns the 200-unit The Palms apartment complex at 713 E. Sahara Ave., plans to raise the large-scale project at its current site, which would be demolished. The project is expected to break ground in 2018. Vacancy has been low for some time, a second-quarter report from Institutional Property Advisors, a division of Marcus & Millichap, shows. According to the report, vacancy has been less than 5 percent since 2014. During the second quarter of 2017, vacancy sat at 4 percent. The overall trend of low vacancy is expected to continue through the rest of 2017, Naseef said. The demand has been outstripping the supply, which is causing an uptick in building activity, he added. “A lot of people see a lot of construction, and they think that we’re overbuilding, and that’s really not the case,” Naseef said. Brian Gordon, a principal at Applied Analysis, agreed that demand is high. “When we see 3,000 to 4,000 units in the pipeline, on the surface that may seem concerning, but when you think about the nearly 60,000 people that moved to Las Vegas in the past year, the numbers just aren’t that significant,” he said. The market has been able to absorb that inventory coming online, Gordon said. The population of Clark County has been growing in Clark County for the past couple years. Estimates put the population at 2.16 million as of July 1, 2016. The area saw a 2.2 percent rise, or a gain of more than 46,000 residents, during the 12 months preceding the July 1, 2016 report, according to data from the U.S. Census Bureau. In 2010, the Census Bureau estimated the population in Clark County to be 1.9 million. Also on the rise are average rents in the valley. A report from International Property Advisors shows rates rising by 6.8 percent in the second quarter on a year-over-year basis to an average effective rental rate of $924 per month. That number was expected to rise to a $941 average in 2017, which equated to a 6.2 percent rise on a year-over-year basis, a slower rise. Naseef doesn’t expect rental growth as quickly as they are now going forward. The multifamily’s positive statistics and potential haven’t gone unnoticed by investors. In a second-quarter report by Colliers’ Las Vegas office, the number of units traded was on track to be less than 2016, though average prices were higher in 2017. According to the report, the number of units sold in the first quarter of 2017 was 3,562. Comparably, the number of multifamily units moved in 2016 was just over 22,000, giving an average of just over 5,500 units moved per quarter in 2016. The price per unit was, however, lower in 2016 at $96,720, compared to 2017’s apartment units in the first quarter which grabbed an average of $113,829 each, a second-quarter multifamily report from Colliers showed. Sales prices are getting higher as investors that bought during the recession start to cash in, said Brenden Graves, director of client sales and services for the Las Vegas market at Xceligent. Naseef added that one reason for sales slowing is not about interest in the market. “From a capital market standpoint, sales have tapered off, only because of product availability, not because of a lack of investors not wanting to be in the marketplace,” he said. Multifamily investment is a safer bet than most, Graves said. “The reason it’s a little more safe is because it’s developed into small units, so when one tenant leaves, you drop occupancy by a couple percentage points, as opposed to a building where you’ve got two or three tenants,” he said. He compared that to owning a building where there are two or three tenants. If you lose one, that could leave you some 35 percent vacant, Graves said. One of the larger deals this year have included The Blackstone Group’s purchase of 972 units. The $170 million deal in the second quarter of 2017 contained several properties around the valley: 324 units at Dream Apartment Homes at 1005 Wigwam Parkway; 310 units at SW Apartment Homes at 6355 S. Durango Drive; and 338 units at Union Apartment Homes at 4450 S. Hualapai Way. Blackstone also picked up the 466-unit Elysian West at 5175 Jerry Tarkanian Way for $106.5 million in August, or over $228,000 per unit. Several other investors also dropped tens of millions of dollars around that same time in the multifamily sector. Another positive for multifamily developers is their ability to purchase land at high prices and still make projects pencil, compared to other commercial real estate developers, one being the office, according to Graves. The price per acre has been on the rise in the valley. According to a second-quarter report from Applied Analysis, the average price per acre in the area was $415,188, up 12.9 percent over the second quarter of 2016 when the average price per acre was $367,947. That number was also up from the first quarter of 2017 when the average price per acre of land was more than $392,000.